A hot afternoon at Wat Phrathat Doi Suthep outside of Chiang Mai, Thailand. 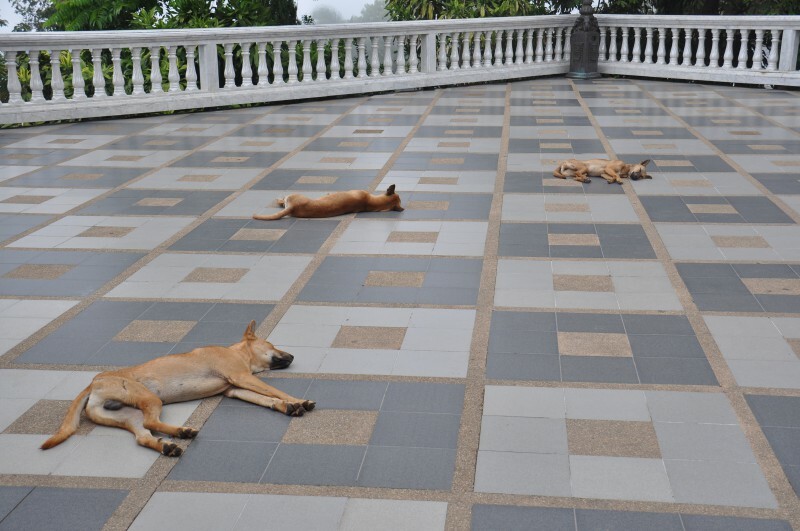 In addition to admiration and jealousy at the abandon and tranquility of these stray dogs, I found the geometry of their position atop the checkered tile to be visually gratifying. There is certainly no need to travel to a Buddhist temple to find dogs exhibiting such Zen, but it is clear that spending their days among the Monks has made these dogs true masters of serenity. Trained and educated as a Biochemist and passionate about travel and experience I find wonderment and beauty everywhere; from rat neurons under the microscope to architecture, from cacti to rice paddies. Following in my father’s footsteps, I have taken-up photography as a hobby and a mechanism to help capture some of the most memorable images and emotions during my adventures.